Windy wrote: Sorry mate... not entirely sure on what the Csepel designations are. Going off the Veolia bunch, there are two 844.03's and 7 of the 844.19's - although possibly the .03's are early versions of the .19's? They previously were jumbled, as in the Baxter's disposals. Not sure why they were changed. johnson01 wrote: courtesy of the Hino Malaysia website, the Hino RK and AK chassis is still under production! I believe it was first introduced in the late 1970s, and it is still produced in Malaysia, under licence. Perhaps this might make it the longest time a chassis has been produced? As a matter in fact, a variant of the leaf-spring RK chassis, the RK8J is available here alongside with the air suspension counterpart, RN8J. Suspension aside, both chassis are similar in specs and their auto variants have been recently updated with the new ZF Ecolife transmission. I was recently thinking of some Mercedes-Benz and MAN bus model numbers when an idea came to me. I figured that the names of two articulated buses, the Merc O305G and the MAN SG192 for example, both have a G in them. Also, the Mercedes-Benz O405N and the MAN NL202, both low-floors, both have an N in their names. As both Mercedes-Benz and MAN are German companies, Does this mean that the German word for Articulated starts with G and Low-floor starts with N? Mitch wrote: Read this post: viewtopic.php?p=2834#p2834. Hi Windy I am a new member, great information. Do you have similar for Bedford. I have a 1978 Bedford Domino, Chassis number FJ620425, Engine no 855870, Axle description 20LO.O-4000LO.O/076 and have no idea what I have. Thanks in anticipation. I had realised that no gearbox codes have been posted here yet. I was thinking a while ago about the code for the mainstream gearbox in the Mercedes-Benz O305, the W3D080/2.2R. I have taken a stab at it; correct me if I'm wrong. W = Unknown meaning, may be German for something. 3 = Gearbox is a 3-speed. D = Unknown meaning, again may be a German word. 080 = The gearbox can handle to 800 newton metres of torque (divided by 10 to make the "080"). / = Placeholder to separate the two parts of the code. In the variant of this gearbox used in O305Gs, the W3D110/2.2R, I can guess that the "110" means that it will handle up to 1100 Nm. It would be great if anyone knows what the "W" and "D" mean in the code. Great job on this models! Informative indeed. Been looking for a forum which can give me right bus chassis and bodies. Randommann wrote: W = Unknown meaning, may be German for something. 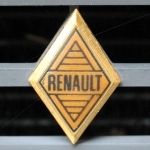 All the documentation that I have suggests that the 'R' means that the gearbox has an integrated hydraulic retarder (i.e. W 3 D 080R). Early examples of the Mercedes-Benz 3-speed automatic gearbox did not have a retarder and therefore had the designation of simply W 3 D 080. The O 305 Gs had W 3 A 110R gearboxes. The O 405s were also originally launched with W 3 E 110R or W 4 E 110R gearboxes. Strange thing is, the W 3 E and W 4 E gearboxes could handle the original incarnation of the OM 447 hA engine, which produced 223 kW @ 2200 rpm and 1225 Nm @ 1200 rpm. I wonder if "Windy" is still around, and if he is, could he add Mercedes gearbox information to his excellent list on page 1 of this topic. Thanks for that - Shows how clever and useful you are here! It'd be nice if information on many different gearboxes were added here! Can we get this thread pinned? It's disappeared and it took me ages to find it. I think it is already pinned. I seem to recall seeing it at the top of the General Transport Discussion thread for yonks now. Yes it's stickied, and has been for a while. Note: I will be using the terms “chassis type” and “platform” interchangeably below. This is to supplement what is given on the first page of this thread. On the first page of this thread, the nomenclature of the specific MAN bus models has been given. 18.320 HOCL-NL: Low entry, rear engined bus with maximum gross vehicle mass of 18 tons and a 320hp engine. These designations are useful in their own ways, the designation used in the first example is useful in showing the maximum GVM and the second is useful in showing the general use of the bus (city/intercity) and both designation shows horsepower and general chassis configuration. However, they are inadequate in determining the particular chassis type used. The problem is, MAN has produced so many types of buses throughout its years, some with similar chassis configuration. For example a 12.220 HOCL/R could mean a 1990s midi chassis or a recent 2000s chassis, both with 12 tons GVM and are rear engined with a 220hp engine. How then are anyone supposed to know what type exactly a bus (or a truck) is? The answer is chassis types. MAN usually markets their bus and coach products using both the specific bus model designation and a chassis type. Chassis types/Platform codes are designated by 3 characters, up till mid-1990s, they were represented by 3 numbers. However, as the numbers were used up, they moved to the current ZXX format, where Z is a letter and X are numbers. The new Lion’s chassis retain the 3 characters format, but contains 2 letters and 1 number (at the moment). JXX is used for several integral city buses seemingly identical to some models found in the AXX series, eg NL242s, but I cannot determine why they have a separate letter instead. All of which are found in Europe only. The highest AXX code I have seen till date is A95, which is allocated to a new double deck chassis used in Asia (ND323/363F). A lot of front engined bus chassis, especially recent models, are based on existing truck platforms and therefore have truck platform codes. For example, N49: 12.2XX FOCL Front Engined Midi Chassis based on the N49 TGL Truck. 588: SL200*. Melbourne’s Mk I MANs are of this type. 752: 10/11.150/180/190/220/230 HOCL/R, Low entry midi bus. Adelaide’s and CDC’s MAN midis are of this type. 889: SL200*, Standard floor height city bus. Melbourne’s Mk II MANs are of this type. A09: NL202, Low Floor City bus. Adelaide’s diesel low floor MANs are of this type. A21: NL2X3/323. Lion’s City Integral. MAN’s flagship product, European market. A24: NG313/363F, Low Floor articulated city bus. Previously marketed as 26.310 HOCL in Australia. Skybus MAN artics, Brisbane MAN gas artics and TP3001 are of this type. A66: 14/15/16.220/240 HOCL-NL, Low Entry midi bus. National Bus’ CB30 are of this type, these buses are now with Transdev Melbourne. A80. Similar to A66 but CIB#. Melbourne’s Designline buses are of this type. A91: SÜ283/293/313/323/353/363F. Intercity bus chassis. Marketed in Australia, New Zealand and Hong Kong as the 18.280/290/310/320/350/360 HOCL. This was the high floor school and charter product offered in Australia by MAN. Replaced by RR8 in 2017. Busways has some SB50 bodied ones up the coast. A95: ND323/363F. Low floor 3 Axle Double deck bus chassis. 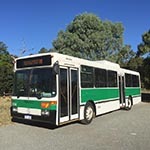 Used in Australia by STA and Forest Coach Lines. Also used in NZ in both Double Deck and Single Deck configurations. R33: 18.360/400/440/480 HOCL. 2 Axle Coach chassis. Replaced by RR2. R37: 24.440/480 HOCLN. 3 Axle Coach Chassis. Replaced by RR4. RC2: LE 19.320. Marketed as 19.320 HOCL-NL in Australia. Lion’s Chassis@ series low entry bus chassis. Replaced A69 since 2017. A Euro 6 chassis was displayed at the Qld Bus show last year. RR2: CO 19.360/400/440/480. Marketed as 19.360 HOCL/R in Australia. Lion’s Chassis@ Coach chassis replacing^ R33 since 2017. RR8: IC 19.280/290/310/320. Lion’s chassis@ intercity bus chassis replacing^ A91 since 2017. 12C: New Lion's City 12m integral product since 2018. 18C: New Lion's City G 18m Articulated integral product since 2018. This list is not exhaustive, there are a lot of other models not covered in it, and a lot which I do not have knowledge on. *There are a lot of chassis codes used for older models such as the SL200. I have no idea what’s the difference between the different codes but it could be a way to differentiate different orders in the past. #CIB-Chassis in a box. Marketing name for completely knocked down chassis kits to be assembled by local distributor or body builder, usually based on an existing product but with less options available. Similarly, truck kits also available as Truck in a box. These chassis type codes show which chassis/product a bus was, and it differentiates different products with similar model designations apart. However, it also allows us to see which seemingly unrelated models are actually the same product, albeit with different engine or length options. For example: An 11.190 from Adelaide is actually the same chassis (752) as 12.220 of CDC, albeit with different engine output, gross mass and possibly length. An 18.240 HOCL-NL from Stagecoach in the UK and an 18.320 HOCL-NL are both A69s, albeit with different engines. Do note that some of these chassis have been in production long enough to receive upgrades and modifications over time. For example, early A69s (like the 18.280s from Adelaide) have hub reduction, while current ones do not have them. The Lion’s chassis series are a range of chassis with common modules. It is intended to replace several existing products. I would suppose that this creates production efficiencies and parts commonality for customers who buy different Lion’s Chassis products. 6AB7520873MX01046 is a 752, 12.220 with CDC. 7ABA800667AD01316 is an A80, 16.240 HOCL with the Designline Bubblebus body. Aside from the VIN, a serial number is also allocated, this is most likely allocated for production purposes, for eg. an example of a serial number for an A69 is A69 2000. This does not correspond to the last four digits of the VIN. In the fleetlists, the records of some older models are of this format, for example a SL200 (Fleet No. 289) of Transdev Melbourne is recorded as 8890030 (Vicroads doesn’t have a record of the chassis number). Last edited by bussie on Fri Feb 22, 2019 2:07 am, edited 3 times in total. Just a short question, but does anyone know when the last Scania L94UB was built in Australia? In Adelaide, 1268 was supposedly built around 10/2007, with the first K230UB (for Adelaide) delivered not long after, but were there any L series ones built anywhere after 1268? Nothing about Custom or Northcoast designs? MAN 16.242 wrote: can any one tell what the differnt leteers on the elwoods stand. I have a Group on FB, we have a post and we are what model this Bus would be, Mr Gordon Zuchner ran this bus in 50-60s from Yarram, stopping at Toora,Foster,Leongatha on way to Melbourne .Ron Nelson also drove the Bus. Reards. There are some updates to the MAN chassis designations, including the product offering switch over for the Australian market since 2017 to the modular Lion's Chassis product line. Nice pic - which vehicular ferry is it? Is the original London Routemaster bus officially called the AEC Routemaster or simply the Routemaster bus or similar? It was a collab between London Transport, Park Royal and Associated Equipment Company (AEC). AEC supplied the mechanicals as well as Leyland (0600 engines) for a time.